Kristen Stewart photographed on stage while accepting the Best Female Performance award for her role in "The Twilight Saga: New Moon" at the 2010 MTV Movie Awards in Los Angeles. Anna Kendrick photographed on stage while accepting the Best Breakout Star award for her role in "Up In The Air" at the 2010 MTV Movie Awards in Los Angeles. 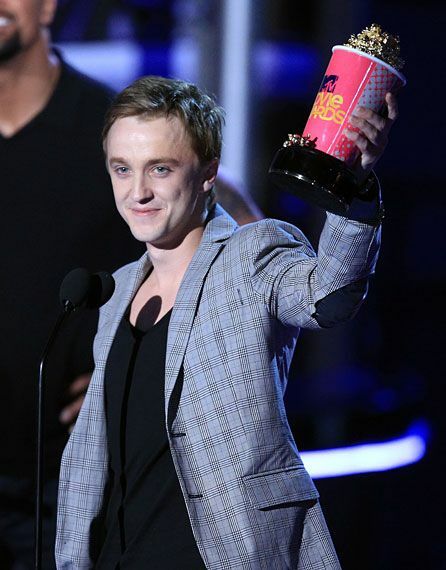 Amanda Seyfried photographed on stage while accepting the Best Scared-As-S**T Performance award for her role in "Jennifer's Body" at the 2010 MTV Movie Awards in Los Angeles. 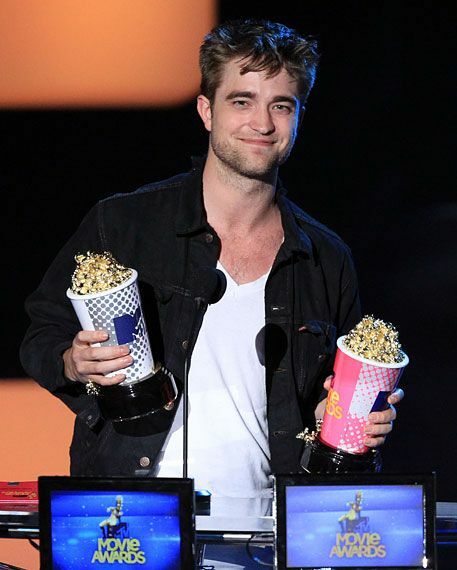 Robert Pattinson and Kristen Stewart photographed on stage while accepting the Best Kiss award for "The Twilight Saga: New Moon" at the 2010 MTV Movie Awards in Los Angeles. 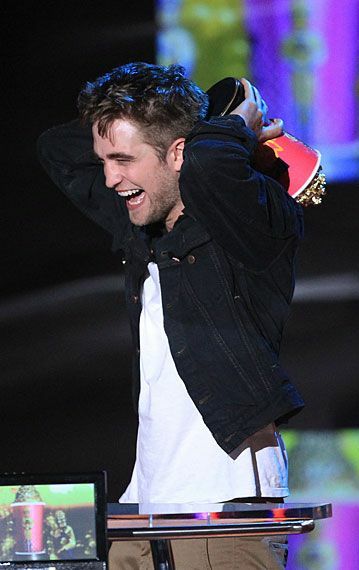 Robert Pattinson photographed on stage while accepting the Best Kiss award for "The Twilight Saga: New Moon" at the 2010 MTV Movie Awards in Los Angeles. 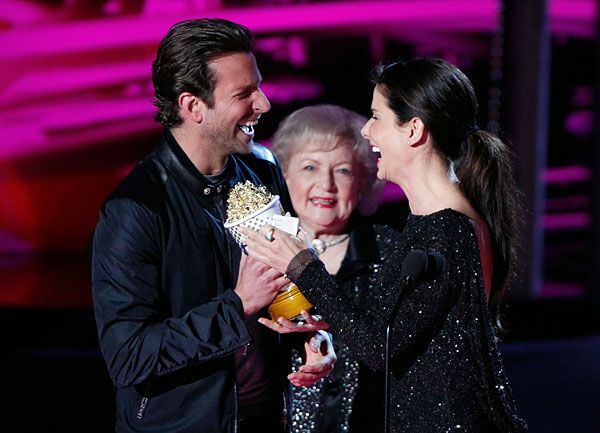 Betty White and Bradley Cooper photographed on stage while presenting the MTV Generation award to Sandra Bullock at the 2010 MTV Movie Awards in Los Angeles. 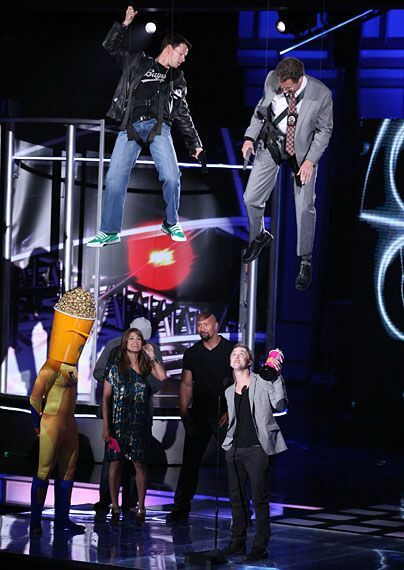 Sandra Bullock photographed on stage with Bradley Cooper while accepting the MTV Generation award at the 2010 MTV Movie Awards in Los Angeles. 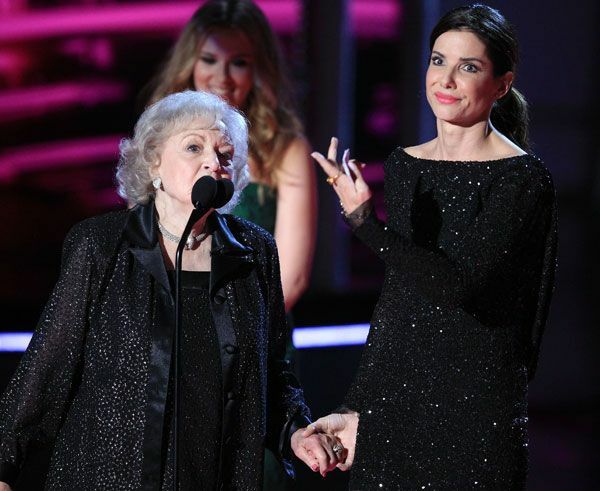 Sandra Bullock photographed on stage while accepting the MTV Generation award with Betty White at the 2010 MTV Movie Awards in Los Angeles. 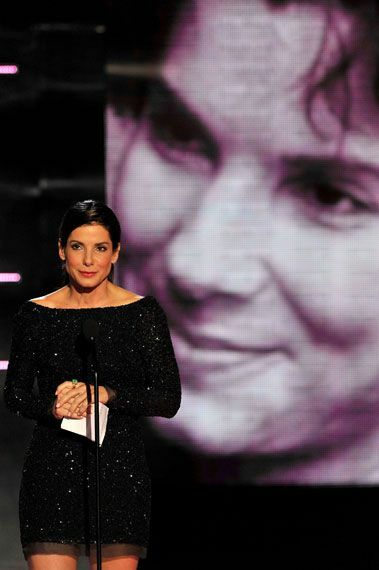 Sandra Bullock photographed on stage while accepting the MTV Generation award at the 2010 MTV Movie Awards in Los Angeles. 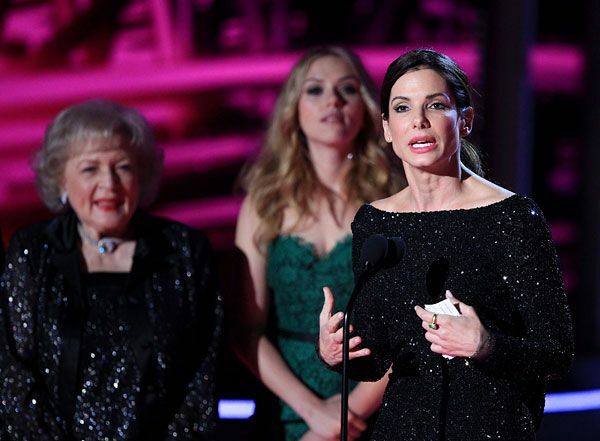 Sandra Bullock photographed on stage with Betty White and Scarlett Johansson while accepting the MTV Generation award at the 2010 MTV Movie Awards in Los Angeles. 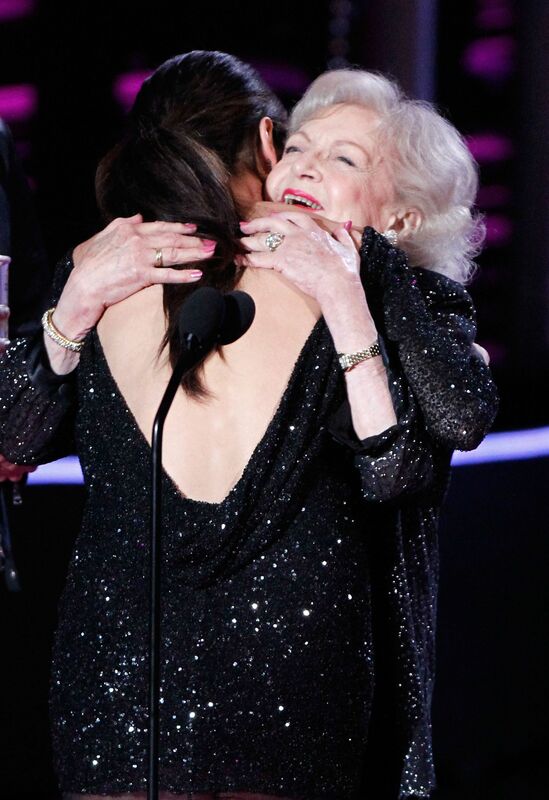 Sandra Bullock photographed on stage with Betty White while accepting the MTV Generation award at the 2010 MTV Movie Awards in Los Angeles. 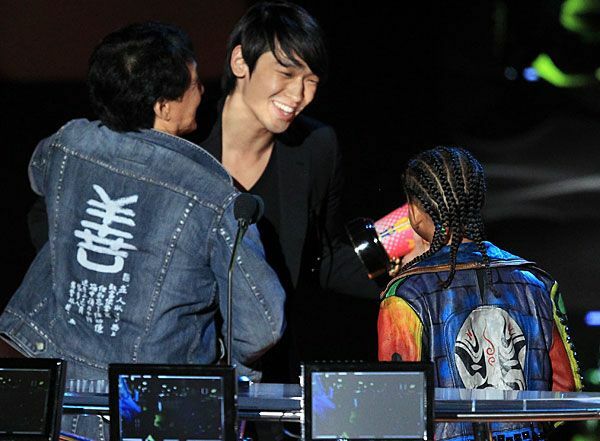 Sandra Bullock photographed on stage with Scarlett Johansson while accepting the MTV Generation award at the 2010 MTV Movie Awards in Los Angeles. Scarlett Johansson and Sandra Bullock are photographed on stage while accepting the MTV Generation award to Sandra Bullock at the 2010 MTV Movie Awards in Los Angeles. 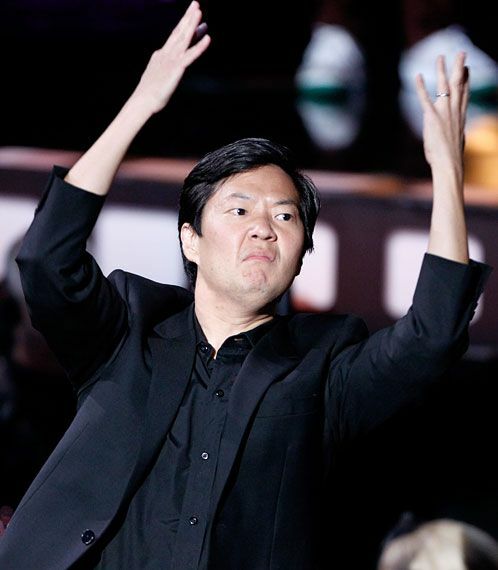 Ken Jeong photographed on stage while accepting the Best WTF Moment award for his role in "The Hangover" at the 2010 MTV Movie Awards in Los Angeles. 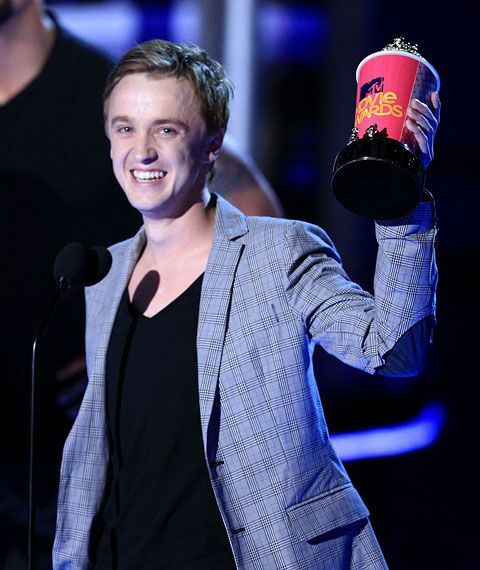 Tom Felton photographed on stage while accepting the Best Villain award for his role in "Harry Potter And The Half-Blood Prince" at the 2010 MTV Movie Awards in Los Angeles. 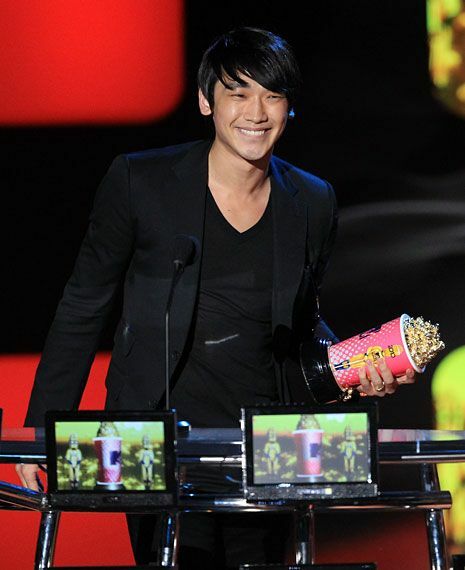 Rain photographed on stage while accepting the Biggest Badass award at the 2010 MTV Movie Awards in Los Angeles. 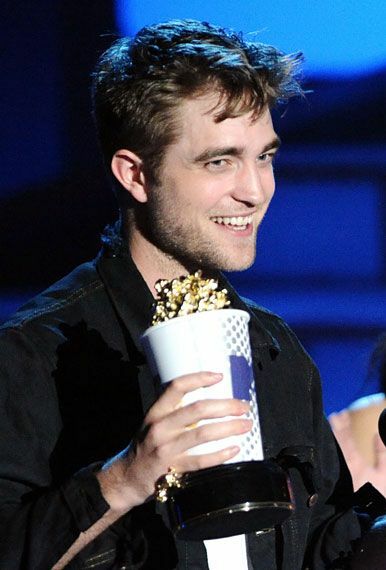 Robert Pattinson photographed on stage while accepting the Best Male Performance award for "The Twilight Saga: New Moon" and Global Superstar at the 2010 MTV Movie Awards in Los Angeles. 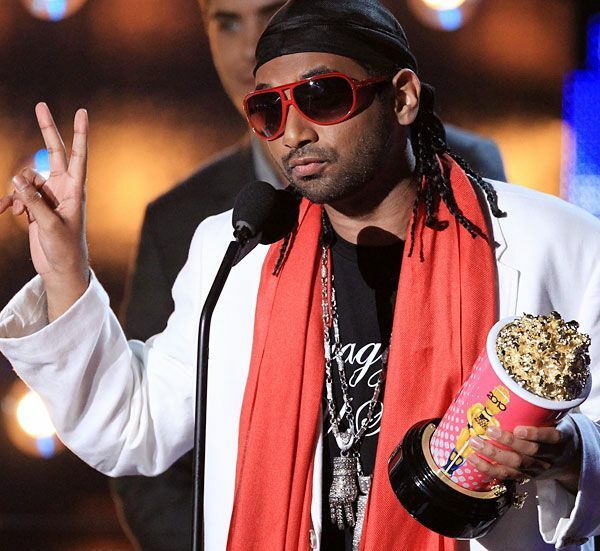 Aziz Ansari photographed on stage while accepting the Best Comedic Performance award on behalf of Zach Galifianakis for his role in "The Hangover" at the 2010 MTV Movie Awards in Los Angeles. 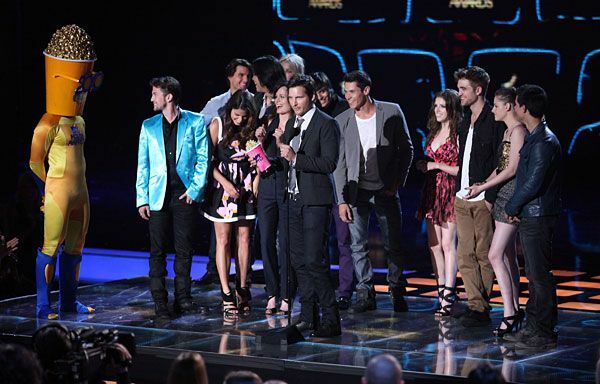 The cast of "The Twilight Saga: New Moon" are photographed on stage while accepting the award for Best Movie at the 2010 MTV Movie Awards in Los Angeles. 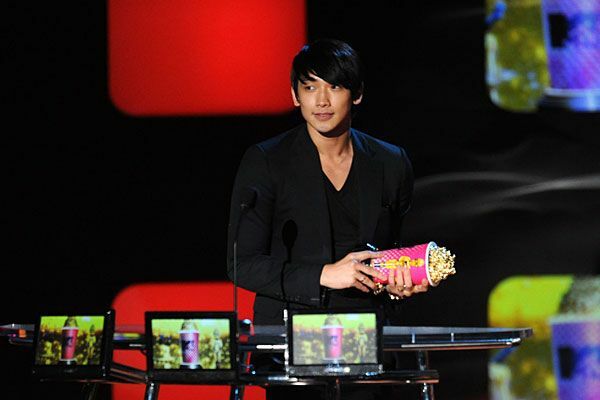 Peter Facinelli photographed on stage while accepting the Best Movie award for "The Twilight Saga: New Moon" at the 2010 MTV Movie Awards in Los Angeles. 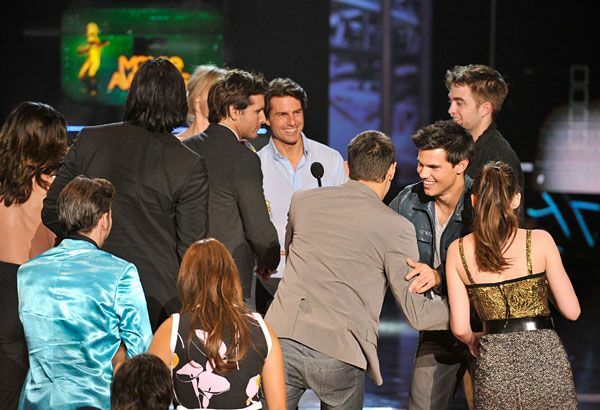 The cast of "The Twilight Saga: New Moon" accept the Best Movie award at the 2010 MTV Movie Awards in Los Angeles.